Benjamin Humpherys (brhumphe) added a comment to T61695: Billboard particles not displaying in Eevee viewport, render. That’s a pity. I knew cycles didn’t support them but assumed that eevee did since the option was still present. If it’s not supported at all the option should under be removed from the UI. Benjamin Humpherys (brhumphe) created T61695: Billboard particles not displaying in Eevee viewport, render. Benjamin Humpherys (brhumphe) awarded T61209: Always write unused IDs on save a Like token. Benjamin Humpherys (brhumphe) added a comment to T61222: OBJ IMPORT BROKEN. WARNING, currently unsupported 'tf' filter color option, skipped. (  3.5119 sec |   3.5093 sec) Done. Could you provide a sample file which exhibits this behavior? Benjamin Humpherys (brhumphe) removed a watcher for Python: Benjamin Humpherys (brhumphe). Benjamin Humpherys (brhumphe) created T61183: Properties that should be annotations in Blender Cloud, Blender ID add-ons. Benjamin Humpherys (brhumphe) added a comment to T58112: Error loading file ( rigid body / soft body / hair dynamics ). As of macOS 10.14 build 38984b10ff7b it seems to open just fine, so it appears to be resolved. Benjamin Humpherys (brhumphe) added a comment to rB2672552cf7a7: T61140 Shortcut Eraser and Eraser are not the same. Yup, error fixed now. Thanks! Benjamin Humpherys (brhumphe) added a comment to T60758: Major Discrepancies in UV Maps and Meshes between Solid/LookDev view and Rendered View. The sample file does not include the textures. Could you pack all the textures into the file and re-upload? Benjamin Humpherys (brhumphe) added a comment to T60296: Window Sleep Issue. Nope, no success on my laptop. It's probably an issue with macOS when waking up and changing image resolution to match the external monitor. After waking if you resize it does the UI go back to the correct size? It didn't happen for me on 3d2ff33c2615. Does it have to be plugged into an external display? Benjamin Humpherys (brhumphe) added a comment to T60248: Pressing shift+D while in the outliner window when selecting an object causes Blender 2.8 to shut down immediately. Could not replicate on 2edd32c168d3 on windows 10. Benjamin Humpherys (brhumphe) added a comment to T59944: Python template operator_mesh_uv.py fails with an error. Confirmed on 7c438e5366b2. The BMesh API seems to have changed, and this script needs updating. I'm not sure line 11 bm.faces.layers.tex.verify() is even necessary. Benjamin Humpherys (brhumphe) added a comment to T59805: Blender crashes when switching to texture paint mode. Benjamin Humpherys (brhumphe) added a comment to T59799: Texture paint mode crash. Benjamin Humpherys (brhumphe) added a comment to T59800: Crash when unwrapping UV on object imported from .stl and entering texture paint mode.. This also happens on Mac on e5e885d0ecb9. Benjamin Humpherys (brhumphe) created T59800: Crash when unwrapping UV on object imported from .stl and entering texture paint mode..
Benjamin Humpherys (brhumphe) added a comment to T59784: Eevee rendering "fireflies". A sample file would be invaluable, even if it’s just the Suzanne head in those screenshots. Does increasing the samples affect it? Benjamin Humpherys (brhumphe) added a comment to T58364: When Spacebar is set to "Search", toolbar tooltips don't show shortcuts..
Benjamin Humpherys (brhumphe) added a comment to T58206: EEVEE lights have a dragable energy value between 0-10 while higher values are useful..
Benjamin Humpherys (brhumphe) added a comment to T59764: Crash when opening a file in 2.79 saved with 2.8. 2.79 does not support files saved by 2.80, and issues are to be expected. Benjamin Humpherys (brhumphe) closed T59408: Render error: system crash as Resolved. Benjamin Humpherys (brhumphe) raised the priority of T59687: Crash: Render Animation from Confirmed, Medium to Needs Triage by Developer. Benjamin Humpherys (brhumphe) triaged T59687: Crash: Render Animation as Confirmed, Medium priority. Benjamin Humpherys (brhumphe) added a comment to T59408: Render error: system crash. Could you provide a description of the problem? It rendered fine on my machine on b49699b1ec6d. Benjamin Humpherys (brhumphe) added a comment to T59687: Crash: Render Animation. Benjamin Humpherys (brhumphe) added a comment to T59665: Crash while changing material BlendMode in EEVEE-Rendered mode. Could not reproduce on b49699b1ec6d. Does it happen in the default scene? 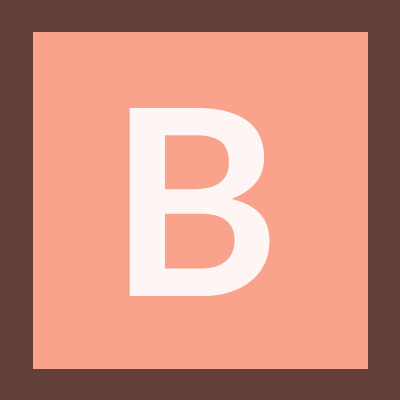 Benjamin Humpherys (brhumphe) added a comment to T59688: Filmic Blender. Benjamin Humpherys (brhumphe) added a comment to T57773: New 2.79 builds from Master freezes when opening a 2.79b file and then Creating a New File. Benjamin Humpherys (brhumphe) added a comment to T59531: Blender Crashes when I delete anything. Nevermind, I think the issue I am having is unrelated. This issue still exists in 42b9df5907d041a5a68585308b1e11b2eac2c947 on master. Benjamin Humpherys (brhumphe) closed T59015: Program Crash as Resolved. Benjamin Humpherys (brhumphe) added a comment to T59469: obj import error. Can confirm on 4e3562f45ad on 10.14, but it seems to depend on the particular file. This is a relatively recent problem I think, because I did not run into this issue on master 2 or 3 weeks ago. Benjamin Humpherys (brhumphe) added a comment to D4081: Fix T59351: bypass texture creation test with GL_PROXY.. on AMD graphics cards.. Tested this on de662e7cd3b and it does seem to resolve T59351. Benjamin Humpherys (brhumphe) added a comment to T59378: The grid and coordinate axes are destroyed. I noticed this as well. The threshold of the clipping start where the artifacts begin to be noticeable varies depending on the zoom level as well. Benjamin Humpherys (brhumphe) added a comment to T59351: "GPUTexture: texture alloc failed. Likely not enough Video Memory." when rendering an animation with eevee, even on low quality. I updated the drivers just to be sure, and it still happens. Must be a Windows thing? Benjamin Humpherys (brhumphe) created T59351: "GPUTexture: texture alloc failed. Likely not enough Video Memory." when rendering an animation with eevee, even on low quality. Benjamin Humpherys (brhumphe) added a comment to T59338: Blender crashes immediately after loading attached file in ~80% of my attempts. Confirmed on be0c8ed734b on windows. It's intermittent for me too: sometimes it will crash immediately, sometimes I have to revert the file a couple of times, always with an EXCEPTION_ACCESS_VIOLATION error. Benjamin Humpherys (brhumphe) added a comment to T59319: file become unsupported by 2.79 after making some change in 2.80. render is not correct. Benjamin Humpherys (brhumphe) added a project to T59213: Application menu links to outdated version of Python API: Documentation. Benjamin Humpherys (brhumphe) renamed T59213: Application menu links to outdated version of Python API from Application opens outdated to Application menu links to outdated version of Python API. Benjamin Humpherys (brhumphe) closed T59213: Application menu links to outdated version of Python API as Invalid. Benjamin Humpherys (brhumphe) created T59213: Application menu links to outdated version of Python API. Benjamin Humpherys (brhumphe) added a comment to T59072: Blender 2.8 Beta: Text extrusion cannot be animated. Confirmed on macOS 10.14 hash 168a6a4bfc1. It looks as though the viewport text is only being updated when manipulating the value and curves, but not when changing the frame. Benjamin Humpherys (brhumphe) added a comment to T59089: Custom render engine not being called for interactive rendering, get EVEE instead..
Benjamin Humpherys (brhumphe) added a comment to T58977: Full screen mouse pointer offset. This works just fine on MacOS Mojave 10.14 hash 168a6a4bfc1. Try using a newer build and see if it still happens. Benjamin Humpherys (brhumphe) added a comment to T59090: Confusing DepsgraphUpdate fields. It seems contradictory when something called is_xxx_dirty being True actually means "not updated". Benjamin Humpherys (brhumphe) added a comment to T58988: Closing Blender through preferences or multitasking in OS..
Could not reproduce on windows 10 x64 879877295d0. Try downloading the latest nightly and see if the problem is resolved. Benjamin Humpherys (brhumphe) added a comment to T59025: 2.80 Blender closing shift+z while in front view. A patch was made for several similar bug reports yesterday. Download the latest nightly and try again, it should be fixed. Benjamin Humpherys (brhumphe) added a comment to T59030: Blender doesn't start. Looks like you are launching whichever version is installed in C:\Program Files\Blender Foundation\Blender. Try downloading the latest build and unzip it somewhere rather than installing it, and open the exe file in that folder. Benjamin Humpherys (brhumphe) added a comment to T59023: Wireframe + lock view to axis makes Blender crash. I couldn't reproduce this on 879877295d0. There were several similar bug reports earlier that were patched already, so see if the newest nightly build fixes the issue. Benjamin Humpherys (brhumphe) added a comment to T59015: Program Crash. I couldn't reproduce this on 879877295d0. Try downloading the latest nightly build and see if you encounter it again. Benjamin Humpherys (brhumphe) added a comment to T59081: Some material node groups in 2.80, from 2.7x files, crash in 2.80. Confirmed on windows 879877295d0. It happened the first couple of times I opened the file, but then it stopped happening until I ran blender with --debug. It seems to consistently happen with --debug enabled.. When it does crash, it crashes when undoing a group node move operation. Benjamin Humpherys (brhumphe) added a comment to T59082: De-selecting all, leaves the Move tool gizmo visible. Could not reproduce on windows 879877295d0. Benjamin Humpherys (brhumphe) added a comment to rB64bca2e6486e: Fix T58950: wireframe/orthographic/front/side/topview crash 2.8.
so what do i do to apply this fix? Benjamin Humpherys (brhumphe) added a comment to T59029: Blender constantly prints this error message. This add-on needs to be updated. bpy.context.scene.master_collection was renamed to bpy.context.scene.collection. Benjamin Humpherys (brhumphe) added a comment to T59044: Cannot programmatically set context area to FILE_BROWSE. The problem is the message does not correctly show all the valid enum values. For example, 'CONSOLE' is truncated. Benjamin Humpherys (brhumphe) added a comment to T59057: Crashing when viewing a 2d plane from side ortho views that would project the plane as a line. I could not reproduce on e79bb957fc3. Have you tried downloading a newer version of 2.80? New builds are released daily. Benjamin Humpherys (brhumphe) added a comment to T59055: Crash on import of 2.79 collections. I couldn't reproduce this on e79bb957fc3 on Windows. Try a newer version, that one is two days old. Benjamin Humpherys (brhumphe) added a project to T59044: Cannot programmatically set context area to FILE_BROWSE: Python. Benjamin Humpherys (brhumphe) edited projects for T58737: report bug interface 2.80 "first time", added: BF Blender: 2.8; removed BF Blender. Benjamin Humpherys (brhumphe) edited projects for T58821: mesh is not updated when select different object in sculpt mode, added: BF Blender: 2.8; removed BF Blender. Benjamin Humpherys (brhumphe) added a project to T58803: module 'bpy.utils' has no attribute 'register_tool': Python. Benjamin Humpherys (brhumphe) created T58803: module 'bpy.utils' has no attribute 'register_tool'. Benjamin Humpherys (brhumphe) closed T58578: buy Confettis as Invalid. Benjamin Humpherys (brhumphe) closed T58580: Drapery Fabric Waterfall Hanger as Invalid. Benjamin Humpherys (brhumphe) closed T58581: cheap Elastic Filler For Biological Treatment as Invalid. Benjamin Humpherys (brhumphe) closed T58579: Drapery Fabric Waterfall Hanger as Invalid. Benjamin Humpherys (brhumphe) closed T58584: MBBR Bio Media price as Invalid. Benjamin Humpherys (brhumphe) closed T58583: Homogeneous Floor Tiles price as Invalid. Benjamin Humpherys (brhumphe) closed T58582: China 7005C P4 Angular Contact Ball Bearing factory as Invalid. Benjamin Humpherys (brhumphe) closed T58585: China Biogas Digester Cover as Invalid. Benjamin Humpherys (brhumphe) closed T58586: China Mining Conveyor Belt as Invalid. Benjamin Humpherys (brhumphe) closed T58588: Polyimide Tape suppliers as Invalid. Benjamin Humpherys (brhumphe) closed T58587: Dog Food Machine suppliers as Invalid. Benjamin Humpherys (brhumphe) edited projects for T58535: blender crashes when loading the file, added: BF Blender: 2.8; removed BF Blender. Benjamin Humpherys (brhumphe) added a comment to T58069: "ModuleNotFoundError: No module named 'bpy_types'" when building as Python module. @Campbell Barton (campbellbarton) Fair enough. I can see how changing it to work with sys.path could be more effort than it’s worth. It’s good to know what the issue is, this was bugging me for weeks! If I find a solution I’ll pass it along. Why is it looking there instead of searching the sys.path of the python interpreter? Benjamin Humpherys (brhumphe) added a comment to T58166: Provide a means to migrate legacy BI data to Cycles/Eevee when opening older .blend files. My apologies. I've created a thread on devtalk for further discussion. Benjamin Humpherys (brhumphe) added a comment to T58179: Remapped Modifier keys on Mac. Certain keybindings are set based on the build target (operating system). Different operating systems have different conventions. Benjamin Humpherys (brhumphe) added a project to T58166: Provide a means to migrate legacy BI data to Cycles/Eevee when opening older .blend files: BF Blender: 2.8. Benjamin Humpherys (brhumphe) created T58166: Provide a means to migrate legacy BI data to Cycles/Eevee when opening older .blend files. Benjamin Humpherys (brhumphe) added a comment to T58121: Textures orphaned when loading .blend files from prior versions of blender..
Are there any plans for helping a user migrate old materials when opened in 2.80? Benjamin Humpherys (brhumphe) added a comment to T58108: Crash when switch from Edit Mode to Vertex Paint. On latest builds I can only reproduce under the conditions described in T58075. Benjamin Humpherys (brhumphe) added a comment to T58126: Blender 2.8 crash when switch to sculpting. Benjamin Humpherys (brhumphe) added a project to T58121: Textures orphaned when loading .blend files from prior versions of blender. : BF Blender. Upon further examination, this appears to be an issue of not migrating blender internal materials to cycles. In 2.79 when using cycles the textures do not appear either. However, the texture data still does not show up as orphaned, as it does in 2.80. Benjamin Humpherys (brhumphe) updated the task description for T58121: Textures orphaned when loading .blend files from prior versions of blender..
Benjamin Humpherys (brhumphe) created T58121: Textures orphaned when loading .blend files from prior versions of blender..
Benjamin Humpherys (brhumphe) added a comment to T58110: Crash after using bmesh geometry-creating python ops. Have you tried running bm.update_edit_mesh() before switching back to the view?